Ok. So you might be asking yourself: What the heck is a fidget spinner? Well, the first thing that you need to know is that they are taking over the world of toys -- especially for elementary students. Fidget spinners are gadgets that spin around for endless fun. Why are people into them? Well, like all fads, it's interesting and serves a purpose ... kind of. The long and short of it is fidget spinners help soothe people; they relieve stress, promote hand-eye coordination, and help improve focus. For some reason, the phenomenon has also taken off on mobile, with a bunch of different apps claiming to offer the same experience. for this reason we have compiled this review to help you get started with an app for the same purpose. We are talking about, Fidget Spinner - Addictive Space Game. What is Fidget Spinner - Addictive Space Game? Fidget Spinner - Addictive Space Game is the new arcade fun about Fidget spinner the most popular toy these days among all ages. The thing that makes it different from the rest of app of its kind is it two fidget spinning modes. 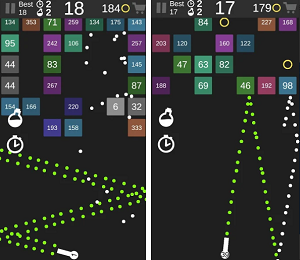 The first mode, which is the can be said the core mode of this game app is a space game where you will be spinning your Fidget to avoid the asteroids and collecting different boosters like , life booster, speed booster etc. Moreover, you will be also collecting some gold coins through your way, as these will help you with in game purchases. 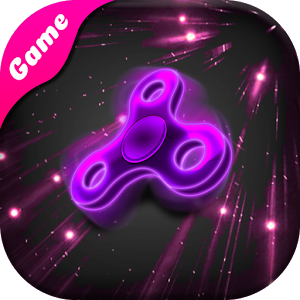 In addition the second mode of the game is instantly spinning the Fidget simulation, which is another good feature as you can get two kind of fidget spinning fun in a single game app and you don’t have to download any extra simulation apps. You can also play using different animated fidget design that can be unlocked by using the collected gold coins. There are many other fun things this game offers that you can avail by downloading this game app. Presently it is offered for Android OS devices and you can get this free by tapping the direct download link present at the end.